Earlier today, I struggled through watching Tom Caron and company complain about it being "cold" in Ft Myers. Meanwhile, my car's doors were frozen shut this morning as a result of Boston's weather of late.....so take your skirt off TC, you're getting paid very well to spend your late winter in Southern Florida with Heidy Watney and the Boston Red Sox....No more complaining. With that off my chess, I can move onto the best Dustin Pedroia quote I've heard all year. Apparently, the little guy has taken a liking to Jose' Iglesisas; the twenty year old short stop who ITM manages to work into every post, who has an outgoing personality of his own. Predoia has taken Iglesias under his wing. The second basemen (and apparent clubhouse leader at just 26) recently had Iglesias over to his house for a BBQ in an attempt to get to know each other better. 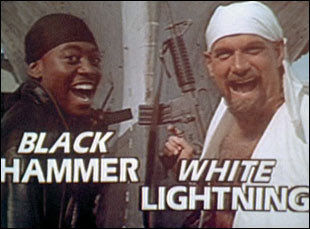 You figure, sooner than later, these two will be spinning double plays up the middle at Fenway....and despite a partial language barrier, they'll be bantering back and forth the entire time. While working together on double play feeds, Pedroia helped Iglesias with his timing and feeds.....but when Pedroia received a feed from Iglesias at a different location than he wanted, he shouted (jokingly...I hope): "Just remember, when we're out here, I'm F'n Fidel Castro, and you're just a peasant!" Welcome to America Jose', and welcome to the middle infield in Boston, I hope you like it. As much as I bitched about Spring Training below, it also serves to focus on the few non stressful items associated with baseball in Boston. Sure I'm concerned about overall health and how the new guys are fitting in, but let's be honest, Pedroia's antics, and Iglesias' fielding, are significantly more important at this point. To check out Pedey dominating a push up competition, click here. That will quickly change as we approach April 4th. Go Sox. 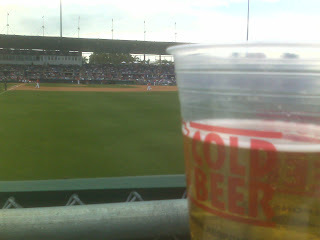 Today's monsoon got me thinking about Ft Myers. Eventually my mind wandered to last year when T Murph and I stayed at a Ft Myers pub a few rounds too long and he decided to climb on top of a huge satellite TV truck (which seemed like a great idea to both of us at the time), only to end up with some kind of questionable crap all over him (he says it was tar, I say it was guano). Anyways, I digress. The spring is young, the Sox have yet to even annihilate BC, yet I find myself already complaining about how long Spring Training is. I know I'll be down South in just a few weeks so I really can't complain, but we're talking about "Professional athletes" who "need" nearly two months to get ready to do their day jobs. Most players, fans, and owners agree it's far too long, so when will uncle Bud do something about it? Maybe it's because there are suckers like us here at ITM who spend dumps of money to head down there and watch these guys take hundreds of grounds or cover first off the mound. It's an amazingly drawn out process that involves the veterans (see JD Drew) requiring rest and watching nameless rookies or minor leaguers (see #96 in your Red Sox manual) on the diamond. Call it current anger with Boston's current weather, call it a random soap box rant, I don't care, I just wish they'd shorten things up by two weeks and stop playing significant games in the snow of late October and early November. They are the boys of summer after all. ITM Note: Typed this on the bberry on the T while experiencing "switch problems"...followed two stops later by "disabled trains".... for the second day in a row. The Bostonian anger grows. Jacoby "Willie Mays Hays" Ellsbury? Jacoby Ellsbury has come into the preseason bulked up and ready to assume his new role in left field. He has also commented that he wants to, and will, hit more taters this year. A young, hyped outfielder with blazing fast speed....moving to a traditionally power hitting corner outfield spot.....putting on muscle and looking to drop more bombs....where have we heard this before? That's right, Major League Two and the one and only Willie Mays Hays. Next thing you know Ellsbury will be staring in a terrible action film with Steven Seagal. Undoubtedly with a title that makes reference to his Native American background. In all seriousness I know Jacoby is far too smart to go to that extreme, but I hope he doesn't take the saying "chicks dig the longball" too seriously. I keep knocking on wood that he doesn't adjust his swing at all. With any luck, he'll use some of the energy hes saves in his legs by playing the short left field to steal more bases.Maybe even stealing home right in Andy Pettite's mug again. 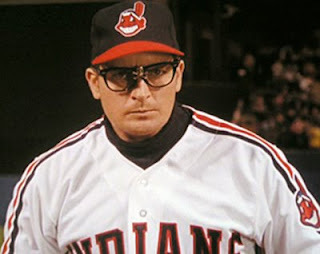 ITM note - anything and everything can be tied back to either Major League Two, Tommy Boy or Spaceballs. Just ask T Murph. Pedroia: "I can't read or write good, but I'll hit more homeruns"
"We'll see," Pedroia said on Sunday morning. "We haven't even had a spring training practice but guys are going to have to step up. I'm going to have to step up, everyone is. That's how it goes during the season. Everyone is going to have to have good at-bats and put them together in a row to score a lot of runs. We'll do that. We'll be better than a lot of people think." Reminded that the lineup has lost Jason Bay and likely will see the departure of Mike Lowell, Pedroia quipped, "I'll hit more home runs, then." Pedroia downplayed the significance the team has placed on new age terms like run-prevention and UZR [Ultimate Zone Rating] to value players. 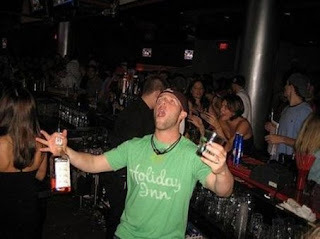 “I don’t even buy into that stuff,” Pedroia said. “We have great pitching, we have great defense and we have good offensive players. I don’t even know what run prevention is. I’m kind of a baseball players. I don’t know how to read very good. I don’t know how to write very good. We just go play. We’ll be fine." 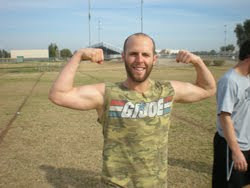 With Pedroia, you can't help but laugh at him, but at the same time, you take everything he says serious. He'll do everything he can to put this team on his tiny back, but he'll need a lot of help from the guys around him for this lineup to win ballgames like years past. As a result, his message to the rest of the lineup is apparently to "Man up". A few weeks from now I'm going to try to track him down in Ft. Myers, and see what kind of ridiculous quotes I can get out of him. If you've been following ITM at all over the off season you know two things. 2-We swore off going to Spring Training this year. From the leftover feeling of disgust as a result of October 2009, to the general disapproval of this off season's moves, we weren't going. No way. Not this year. Not after what the Red Sox have done to us. Well you now know this, we're complete suckers. A week ago I got an email from Joe Murph saying "come on man, I needs this" (in regards to going to Ft Myers). We talked it over, I was an amazingly easy sell....and when Boston got another 6 inches of snow last night, we pulled the trigger and bought the tickets. We'll be spending four days in Ft Myers in an attempt to soak up as much sun, baseball, and adult beverages as possible. I'd like to think we'll capitalize on lessons learned from last year (i.e., not getting lost in the ghetto during the middle of the night and continuing to walk around half in the bag), but let's be honest, we won't. With any luck, one of us won't get licked in the face by a drunken cougar this year.....however I offer no promises. Honestly though, we hope to check out the minor league facility/players, travel with the team to a few road games, and ultimately take in around four spring training games. The Red Sox Bench: Solid Options, or Secretly Terrible? As Boston got slammed with nasty wet snow all afternoon and I settled back into Eastern Standard Time at work, an interesting topic came up between myself and TMurph: Is the Sox bench as solid as everyone seems to think? Or is it actually pretty terrible? If I were to share our exact gchat convo on the topic we'd both be fired, but we struggled over the topic for some time. Ultimately, we landed on the opinion that most believe our bench of Tek, Lowrie, Hall, Hermida, and for now, Mike Lowell, is a good one. But think about it, save for maybe Hermy, do you want any of those guys seeing considerable time? Do you want to call Hall, Tek or Lowrie's name when it's close and late and you need a PH? We also decided Bill Hall is this 2000's version of Brady Anderson, one extreme outlier of a year (2006) mixed into a career of mediocrity. Questionable at best, and let's be honest, if he wasn't in Boston, you wouldn't even know he was still alive. An assumed bench without Mikey Lowell doesn't leave you with many options, no real pop, speed, or specialities.....and when JD wakes up after a restless night of sleep requiring 4 games off, Hermida will get the call in right, rendering the bench essentially useless. Maybe that's when Josh Reddick gets the call. Sure, bench players are benched for a reason, but I have a hard time remembering the last time I felt good about our close and late options. No disrespect Rocco, te vojo bene. Fingers are crossed that we don't see much of any of these guys this season. Since ITM is a part of the Baseball Bloggers Alliance (BBA), we're somewhat forced to share the information below. I gave some thought to submitting a request for some ITM airtime, but odds are we would just quote lines from Spaceballs and Tommy Boy the entire time. We'd also blow up anyone who attempted to argue against us. That's just how we roll. The writers of the Baseball BloggersAlliance (http://www.baseballbloggersalliance.com) would like toannounce that they are taking to the airwaves. 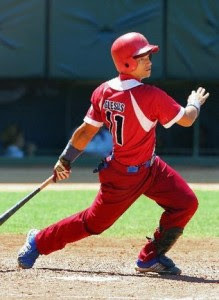 Beginning Tuesday, February 16th at 11 pm Eastern, BBA BaseballTalk (http://www.blogtalkradio.com/baseball-bloggers-alliance/2010/02/17/bba-baseball-talk)be found at BlogTalk Radio http://www.blogtalkradio.com. This one-hour show will discuss the big stories of the day in major league baseball and other baseball-related topics. Callers are welcome to chime in at 347-884-8690. Hosts will rotate on a weekly basis and the time and date of the show may move depending on the requirements of that week's hosts. The Baseball Bloggers Alliance is a confederation of 132 blogs working together for collaboration and discussion possibilities. 1-Red Sox: Josh Beckett, Jon Lester, John Lackey, Daisuke Matsuzaka, Clay Buchholz, No. 6 Tim Wakefield. On paper, a strong group -- if Beckett has a season worthy of a contract drive, if Lackey succeeds in making the transition to the American League East, if Matsuzaka can finally get on the same page as the Red Sox staff and if Buchholz continues to improve. 2-Yankees: CC Sabathia, A.J. Burnett, Andy Pettitte, Javier Vazquez, Phil Hughes. As usual, Burnett is the key for this group; it could be the best if he pitches at an elite level. 3-White Sox: Jake Peavy, Mark Buehrle, John Danks, Gavin Floyd, Freddy Garcia. Peavy looked great in his three starts down the stretch this past season. More on that in Wednesday's blog. 4-Angels: Jered Weaver, Scott Kazmir, Joe Saunders, Ervin Santana, Joel Pineiro. Lackey is gone, but if Santana is healthy, this could be an excellent group. 5-Cardinals: Chris Carpenter, Adam Wainwright, Kyle Lohse, Brad Penny, somebody else. Penny, by the way, appears to be in great shape and is motivated to have a big season. While I'm certainly not going to disagree with Onley's choice for number one, I do wonder how he can keep the Phillies off the list with a rotation of Halladay (in the NL remember), Cole Hammels, JA Happ, Joe Blanton, and 63 year old Jamie Moyer. And did he really mention Brad Penny being motivated and in shape? I'm not buying it....he burned me bad last season. Even in the far east, I can't get enough of Jose Iglesias. I'm not sure I've ever had a man crush on someone who I've never see play, but Jose is different. I've made every attempt to calm my optimism about the 20 year old Cuban, but I can't. He's here, he's working hard, and I'm damn excited about it. In fact, as soon as I return, I plan on buying one of his jersey t shirts (ITM note: if he goes bust as a result, it's not my fault). "...before I even got to see Iglesias on the field, I must say, I was very impressed. From day one, Jose walked around the clubhouse shaking hands, signing autographs and taking pictures with would-be fans trying to get a glimpse at the future. With a very impressive grasp on the English language, Iglesias handled himself like a seasoned veteran. Every morning I was greeted with a smile and a handshake. This young man gets it. But how good is he? I spent the first few days watching him hit in the cage. He looks like he has a good approach at the plate, staying inside the baseball, driving the ball up the middle and the other way. His stroke was short and compact and his hands looked quick. If I had to compare him to someone, I think that Orlando Cabrera would be a good comparison — a player without much power but a good major league hitter. I had to wait a few days to see him take ground balls, which was killing me because that’s what I was really looking forward to. Let’s just say that it was worth the wait. There’s a certain level of cockiness and confidence that all great infielders possess in order to play the position at such a high level. At the young age of 20, Iglesias already has that trait. There was never a doubt with any ground ball hit his way. Like every great shortstop, it seemed like the ball never hit his mitt. It was catch and release. Smooth. He turned double plays flawlessly. He charged the ball. He ranged to his left and his right." As much fun as he was having taking ground balls, I must say, it was even more fun to watch. The Red Sox have found their shortstop of the future, and after watching Jose Iglesias take ground balls for a week, I would say that it’s in very good hands." Jose Iglesias is clearly a man after my own heart. If that article doesn't get you excited then you're simply not human, and certainly not from Boston. 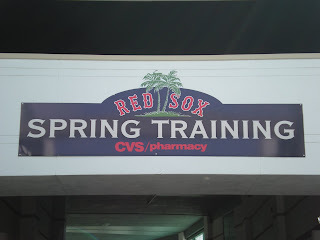 Couple Lou Merloni's review of the short stop of Boston's future with Joe Murph's recent email to me that all of a sudden he "needs to go to Spring Training"...and you've got me searching travel sites like crazy for deals to fly down to Spring Training in March. Dusty Says: "Let's go Merck!" The best part has to be when he screams "look at the show" while benching 60 pound dumbells. Good to know Dusty is working hard and is ready for Spring Training which starts in 9 days.....with the Superbowl over, it's officially baseball season (not that it ever wasn't). For the complete story, including Dusty's oddly rational use of the phrase "let's go merck", check it out here. 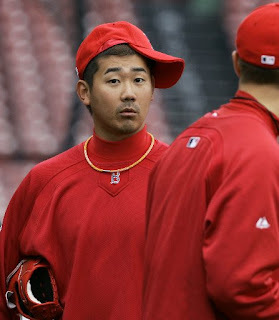 Is Japan Following Boston's Tone on Dice-K?...Or Were We Duped From the Start? 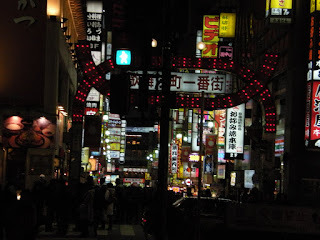 It's been a while since the last ITM post...partly because I've been in Asia traveling on business, and partly because the other two writers are on some kind of long term sabbatical. Anyways, I'm posting from the Tokyo airport with one interesting takeaway from this leg of the trip to Asia....a severe lack of Dice-K support. I've made stops in Tokyo and Kyoto so far on this trip....clearly sticking out everywhere I go since I'm a Westerner and stand taller than 5'5". Surprisingly however, when asked where I'm from, my answer of Boston didn't get the response of fireworks, cartwheels and random animation cartoons about Dice-K that I expected. In most cases, I had to bring up the topic myself, and the majority of people didn't seem too excited about it.....even the people that I was sure spoke English well enough to understand what I was saying. I never got a good answer as to what the problem was....maybe they didn't like me for speaking slowly and irrationally louder when talking to them in English.....maybe they think Dice-K is a traitor for leaving the far East....maybe, like us, they are frustrated with his performance and attitude last year. But then it came to me, maybe we were duped. Maybe, MLB, Scott Boras, and eventually the Red Sox themselves fed into the media engine that was Dice-K's arrival to America. Sure, he had some great numbers in Japan and led them to a World Baseball Title.....but the other stories of fan's "complete and udder obsession"..."Micheal Jordon times 100"...."An entire generation of people called the Dice-K generation"....I didn't see it. I only spent 8 or 9 days here, but I tried like hell to find the Dice-K support and obsession we've been told about, and I struck out swinging. I only saw one Red Sox hat the entire time I was here....and believe me, I saw parts of the city and country others wouldn't have even if they stayed for 8 months. So there you have it, ITM, live on the ground and reporting from Dice-K's homeland....where green tea, warm Saki, and Ichrio rain supreme. Now, I'm off for Seoul to try not to eat dog and dodge bullets from the North.